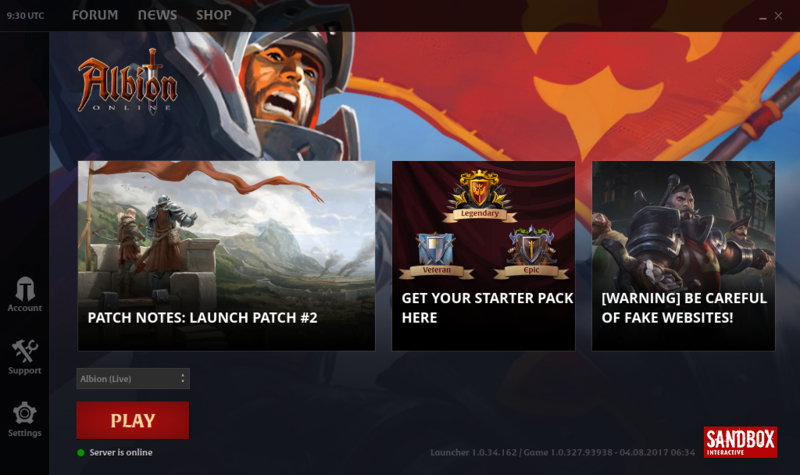 Albion Online to pierwsza gra mmorpg działająca natywnie pod linuxem. Sekret tkwi w silniku Unity, który jak wiadomo wspiera wiele platform. O samym AO nie chcę się rozpisywać, polecam do przeczytania recenzje i filmimi na youtube. #sed -i -e '/Screenmanager Is Fullscreen mode/d' "$HOME/.config/unity3d/Sandbox Interactive GmbH/Albion Online Client/prefs"
sed -i -e '/Screenmanager Resolution Height/d' "$HOME/.config/unity3d/Sandbox Interactive GmbH/Albion Online Client/prefs"
sed -i -e '/Screenmanager Resolution Width/d' "$HOME/.config/unity3d/Sandbox Interactive GmbH/Albion Online Client/prefs"
sed -i -e '/Screenmanager Is Fullscreen mode/d' "$HOME/.config/unity3d/Sandbox Interactive GmbH/Albion Online Client/prefs"